To roast beets, preheat oven to 400 degrees. Place beets on a sheet of foil, sprinkle with about a tsp of olive oil, and add two cloves of garlic – peeling is unnecessary. Fold foil around beets and roast for about an hour until tender. 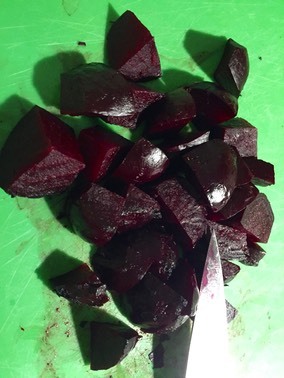 Allow beets to cool enough to handle and peel – it does wash off your fingers! You can squeeze roasted garlics out of their skin and into the dressing or spread them on a piece of toast and eat when no one is looking. Shake up dressing ingredients in a jar and taste for seasonings. 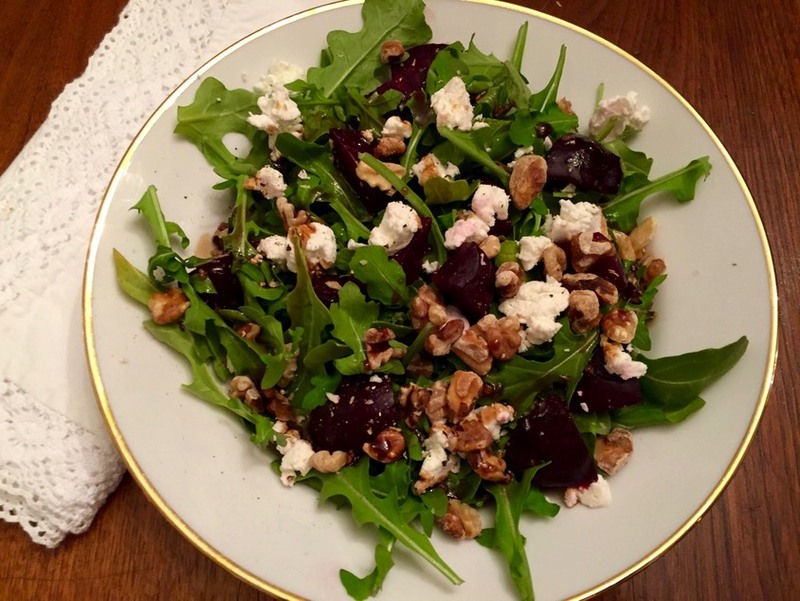 To assemble; put arugula on a salad plate, add beets, walnuts, and cheese. Top with dressing and gently combine. Add a bit of salt and pepper if desired. 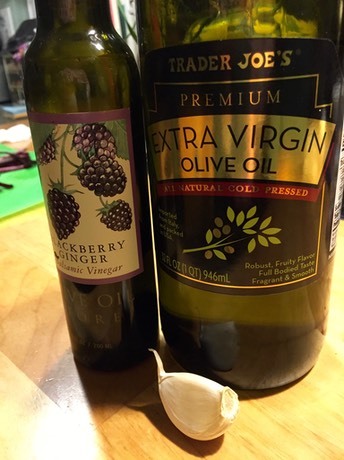 You can also add a bit of crumbled bacon for a more hearty salad!